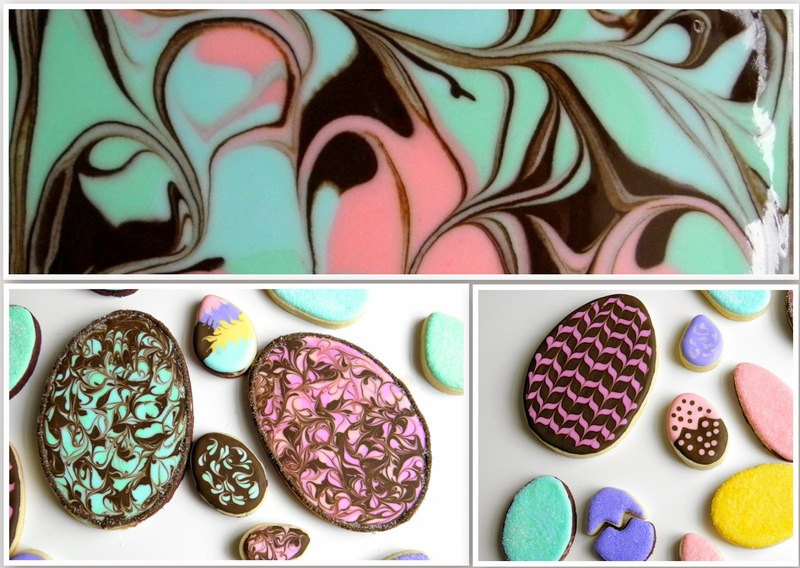 You have me so excited to start some Easter cookies! Soon! Oh good! I can't wait to see your Easter cookies. Beautifully done, David (again, still, always!) and, what beautiful memories you have too... Thank you for sharing them and your cookies! I love seeing your vintage Martha by Mail Easter cookie cutter set again! Ah the milk glass.... :) I hope you make Easter cookies, Anette! Beautiful cookies David, tell us, how do you make your chocolate colored royal icing? The chocolate-colored royal icing is simply made with nut brown food coloring & black food coloring. Use a small offset spatula to take out a large amount of nut brown food coloring from your pot of food coloring; if you have gel food coloring, simply squeeze out a good amount. Mix it with a small batch of royal icing and add a few drops of black food coloring as well. If it's not as dark as you want it, add more brown.